Xena Princess Warrior MUSIC GLOBE ( NEW ) with box. Condition is New. Opened to display for pictures Shipped with USPS First Class Package. A lovely Xena Warrior Princess Amazon Gabrielle doll in good condition. Princess Gabrielle. Warrior Princess. Amazon Doll. (a little wear/ flaking to her brown skirt and top). as any problems can usually be sorted out amicably. The item in the picture is the item you will receive. I will do what I can to resolve the issue that may arise from the sale. Both pieces are in great condition. Both are 925 sterling silver. Still sealed in box, there is slight wear to the edges of the box. XENA COLOR PHOTO. "A FRIEND IN NEED". ITEM# XE-MISC222. CANDID PHOTO OF HUDSON (CALLISTO) LEICK. XENA & HERCULES. IF AT ALL POSSIBLE. She is in great condition with nice dress details and good clean clear face paint. We have hundreds of collectibles. XENA WARRIOR PRINCESS' CHAKRAM. Chakram of Darkness which is said can kill the Olympian gods. • Callisto desires this Chakram for herself. • Ares is frightened of Chakram's power to KILL him. ☆☆☆☆☆Chakram does have battle wear but very minor, it occured while fighting the Olympians ☆☆☆☆. AS IS WAY IS. Now for the not so fine print. WE DO NOT ACCEPT E-CHECKS THEY WILL BE CANCELLED. Shirt has a couple tiny pin holes in the collar as illustrated. Pre-owned. Gabrielle red velvet bodice prop replica. Size Small. Complete set of 5 Xena Warrior Princess Digital Replays by MOVI MotionVision, Premiere Edition produced in 1998 (last five photos give clearer views of each moving image). Xena Warrior Princess Complete Season 2 VHS video boxset of 11 tapes. This is the 1998 US version in a green box, tapes & box are still sealed in original plastic wrap (which has a small tear on the bottom). WE LOVE LUCY LAWLESS - READY FOR THE XENA FINALE. LUCY LAWLESS. THE NEWFOUNDLAND HERALD MAGAZINE. VERY RARE ISSUE. XENA WARRIOR PRINCESS' CHAKRAM, SWORD WHIP & Chakram CLIP. Chakram of Darkness which is said can kill the Olympian gods. • Callisto desires this Chakram for herself. • Ares is frightened of Chakram's power to KILL him. Today we have a Xena Warrior Princess Poster 1996 MCA/ Universal Western Graphics Corp No. 1393. This is in the original packaging and has been kept rolled. Perfect for the man cave and a nice frame. There aren’t any rips or tears but a couple very small crease marks which have been pictured please reference all quality pictures. Please see all quality pictures and ask any questions you may have as I am not a product expert but will do my best to answer accurately. All items and attachments pictured will arrive just as pictured above. Purchase with confidence as we take pride in offering fast 1 day shipping as well as selling only top quality items. 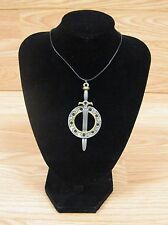 This auction is for a vintage 1998 XENA Warrior Princess Necklace! This item Is new and was put out by Comstock Creations Inc. and it is an officially licensed product authorized by Universal Studios. It contains the original retail price sticker on the back of the card packaging. This item was “Handcrafted in the USA of fine pewter and Austrian Crystal” as the backing card says. The pendant appears to be attached to a black nylon cord. Please note this is a novelty souvenir! If you’re looking for a high quality piece of jewelry this is not the auction for you and I urge you not to bid. All my items are from a pet free, smoke free home! If you have any questions feel free to ask! 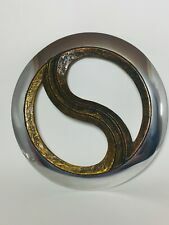 EXTREMELY RARE CHAKRAM SET PREFERRED CLIENT PLEASE CHECK MY ENTIRE INVENTORY FOR I HAVE PLENTY THAT WILL APPEASE YOU. PLEASE FOLLOW ME FOR GREAT ITEMS AND DEALS!!! Hello, for sale are 2 Silver plated Spoons featuring Xena Warrior Princess. Boxes are NOT in perfect condition. Xena Warrior Princess of Amphibious - Sword crafted by the God of War. I have the best prices in the market! Xena Warrior Princess- The Xena Collection Rare Wall Plaque-Limited edition 250. This is a very rare print (most likely from the 90s) and is a limited edition of 250. You can see in the photos the detail, number and title if there is one. The condition is generally excellent. Has been displayed previously. Alexandra Tydings. Alexandra Tydings was born 15 December 1972, in Washington, D.C. Maryland senator Millard Tydings. She is a graduate of. She competed in Irish dancing as a child, and dance led to performance of all kinds; in addition to acting, she was the singer and bassist of bands Annabelle Kickbox and She's Seen You Naked. The box is in very nice condition, for its age. Chakram which is told can kill the Olympian gods. Xena Warrior Princess of Amphibious. • Fallen Hero Xena’s trusty Round killing thing. • Ares is frightened of it as it holds the power to KILL him. I have the best prices in the market! CREATION OFFICIAL PHOTO OF KEVIN SMITH AS ARES. KEVIN SMITH SIGNED THIS PHOTO IN BLACK SHARPIE. INCLUDES CREATION COA. IF AT ALL POSSIBLE.